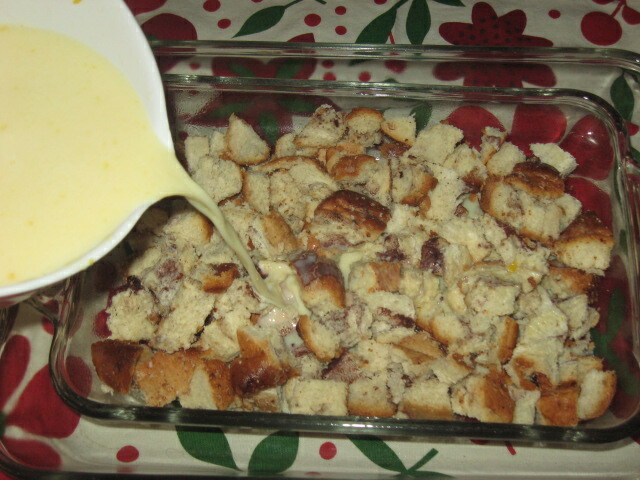 Cinnamon Bread Pudding … sweet comfort! It’s spring and I seem to be in a cake mode…wonder what’s up with that? After finally cleaning my freezer, I decided to make something with the cherished Cinnamon Bread from the Butterhorn Bakery in Frisco. 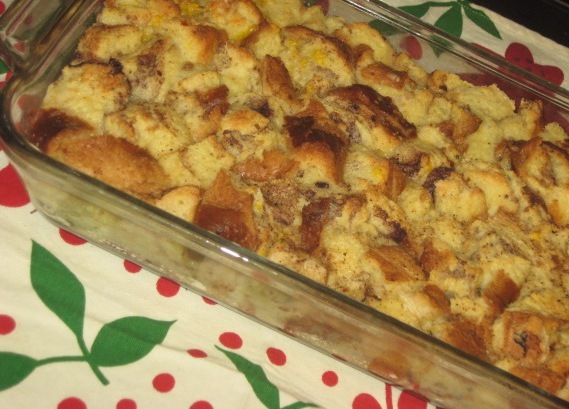 What to make….hmmmm….bread pudding? 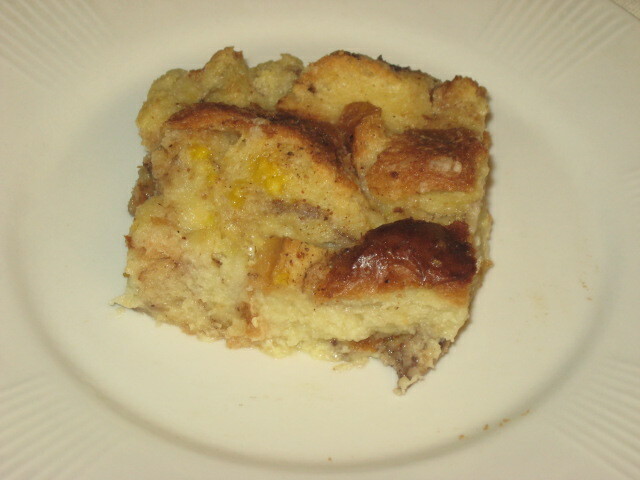 I don’t recall making bread pudding, but I’ve indulged in several fabulous samples through the years. This is one recipe where I don’t have a family favorite. Next best choice…my handy, dandy Farm Journal Country Cookbook. This cherished cookbook was a gift from one of our client’s at Farm Journal in Kansas City in 1976. It’s my ‘go-to’ book for a traditional midwest recipe. No surprise, I found a bread pudding recipe and decided to go for it! Not to brag, but…it was a slice of heaven. I instantly knew that if I kept it in the house, I would devour the whole pan. Neighbors Maribeth and Gary were the recipients of half a pan. After sampling a piece (or two…), the rest will go to family tomorrow. The bread pudding was wonderful by itself, but a light vanilla or butterscotch sauce would be great on top. Scald milk; add butter and cool. 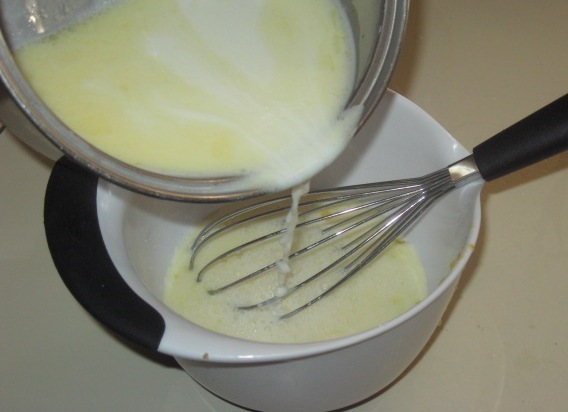 Add 3 egg yolks and 1 egg white to 1/2 cup sugar; beat to mix well. 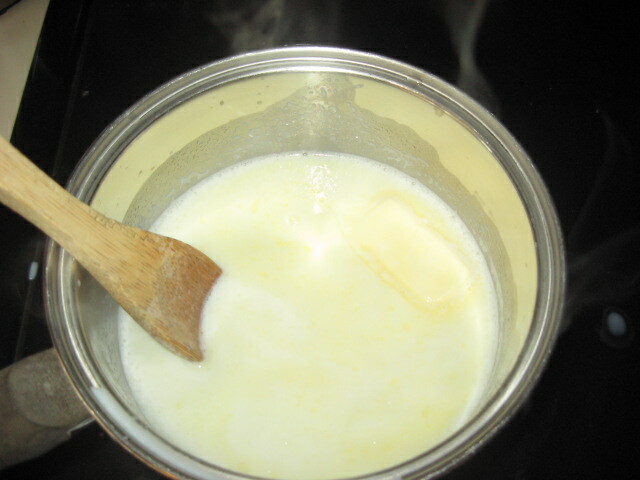 Add cooled milk, teaspoon vanilla and salt. Place bread cubes in buttered 1.5 quart casserole. Pour egg-milk mixture over bread. Sprinkle nutmeg on top. Set casserole in another, larger casserole containing at least 2″ of warm water. Bake for 45-60 minutes or until knife inserted in center comes out clean. Remove from oven. Serve warm or cool, both are delicious! 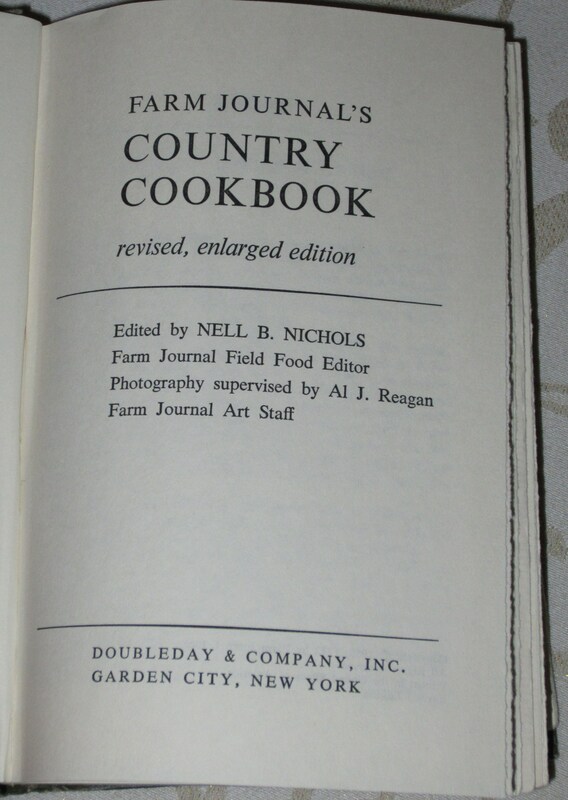 Adapted from Farm Journal’s Country Cookbook, 1972.